What is a leave and license? A leave and license is granted by the grantor for an immovable property. It is a personal right and does not gives the permissive right. It does not create any duties and obligations upon the persons involved in the process of making the grant. Therefore, the license granted has no other effect to confer the liberty. Draft a leave and license agreement and review with the parties involved. The date for the Sub-registrar office will be provided for the registration of lease. Government registration fees have to be paid. The registration process is facilitated at the registrar's office. Collection of the final registered lease deed can be done from the Sub-registrar office. Therefore, a leave and license agreement is a privilege to do something on that premise, which would otherwise be unlawful. Whether a transaction amounts to a lease or a license depends upon the intention of the parties involved in it and whether the exclusive possession had been given or not. A license does not gives an exclusive interest in the property. A license is a personal right and cannot be assigned or transferred. A license is revocable with exceptions in cases mentioned in the Indian Easement Act, 1882. If the license is coupled with the transfer of the property. If such a license exists, it acts as a contract, gift, or a grant. As such transfer is in force, it becomes irrevocable. If the licensee is acting upon the license. The fact the license was granted for an agreed period of time cannot affect the revocability of bare license. Automatic Termination: the agreement that is automatically terminated after the end of the leave and license period is referred as automatic termination. Notice by either party: A standard clause of termination available in every leave and license agreement. The method of cancellation is applicable when the agreement is terminated before the expiry of the leave and license period. New registered rent agreement: In case a new leave and license agreement are executed within the same lease period, for the same property, the old lease and license agreement is terminated or cancelled. Registration of cancellation deed: This process involves payment of stamp duty and registration fees to the government, submission of the same to the registrar office, and the collection of the executed deed from the sub-registrar office by the approval of final stamp by the sub-registrar. The first three ways of cancelation of leave and license agreements do not require any legal fees. 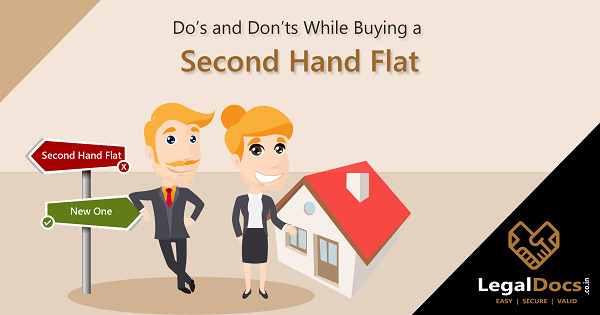 However, the fourth requires mandatory payment of Stamp Duty and registration fees. It is totally the discretion of the parties involved in the agreement to choose the method or leave and license cancellation process. All the clauses have to be terminated for more secured understanding with the approval of Government of India. Any leave and license statement does not reveal if it is a transaction or a legal relationship. It may or may not be revocable. 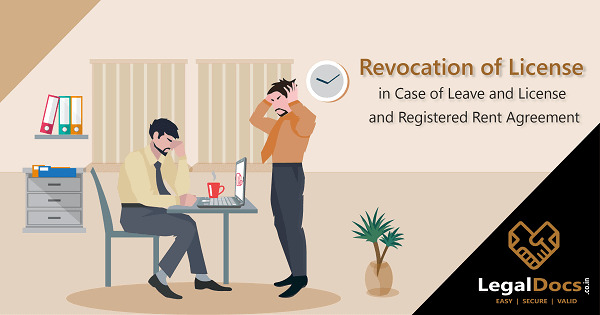 Revocation of license in case of leave and license agreement may be a transaction, may be unwritten, or written unsealed, or couched in casual terms. It may also be designed for the special purpose. Legal consequences for every circumstance may vary. There is the usage of the term â€˜license' to signify a transaction. This usage is generally done by a layman who thinks it in terms of jural relations. The simple rationalization of license cases by the ambiguous usage of the term â€˜license' is done to signify a transaction and sometimes, a relationship. Are you Looking for Leave & License or Registered Rent Agreement? Legaldocs will guide you for Leave and License or Registered Rent Agreement, Please click on the following link to connect with our consultants.